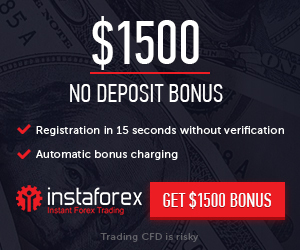 How to make profit on Forex using the traders’ forecasts? If you are reading this article now, most probably you are asking yourself the question “How to earn on Forex market?” Many beginners while facing such materials realise that they need to learn much in order to be able to make some profit on this market. And that education refers to such things as funds management, trader’s phycology and ability to close the position at the correct moment, ect. To learn all the above you need to spend much time and resources. Nevertheless, there are examples when the beginners got their luck and start making big profits. Let’s now switch to the specific offer. How to earn on Forex if you are a beginner and you don’t have enough time for learning. First of all you should open trading account. We are suggesting two companies, but you should make your own choice. They do not differ too much from each other. Though you may like one of them more than the other. FXPro is one of the largest dealers on the planet, and have been the preferred broker of thousands of traders in the currency markets. Because of this, the broker has facilitated thousands upon thousands of trades in thousands of accounts. The company is regulated in several countries, so it adheres to the strictest principals. Today, RoboForex is proud of the diversity of services it has to offer to customers and business partners for successful and profitable investment. Regardless of experience or the size of the investment, our clients get high quality service. You should use forex forecasts from experienced traders following precisely the rules of fund management. What do we mean by fund management rules? We will try to explain this in simple words. It’s a must to place stop loss order (this is the order to close the position if it has a small loss). Usually it is placed in 30 points from the opening price. It’s a must to fix the profit, when the graph is reaching the point or the line disclosed by the forecast. The example of forecast for EUR USD. We publish forecasts of different traders, including the Eurodollar forecast for October, 6, 2015. As per this forecast EURO should grow versus Dollar. Picture 1. We have opened the positions according to the forecast (Picture 2). Though we were a bit late with the closing. The trader’s forecast was fair. And those traders who have followed it and have bought Euro lower than resistance level, could earn some profit. If the price would not follow our forecast we would receive closing of trade by stop loss. Yes, we would lose some funds but this is what we call money management. It’s better to close the negative trade on time with a small loss than to keep it until the whole deposit is lost. Hence, we managed to earn around 20% of our deposit only on one trade. We had the balance of 103 USD while opening the trade. After its closing we have the account balance 123 USD. 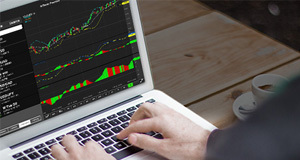 We publish different forecasts that you are able to use in your trading. We wish you good luck in Forex trading! Larson & Holz – what are the advantages and disadvantages of this broker?